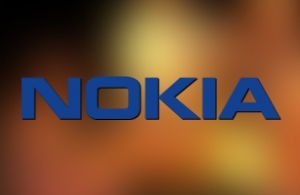 In 2010, NOKIA wanted to launch the new Nokia Ν8, and decided to implement the innovative idea of Wunderman Athens advertising company. A Facebook contest with a winning prize a Nokia N8 cell phone. The development of the contest application was assigned in intros.gr. The main idea was a mystery game, for those who participated in the contest. The game was diveded in 8 episodes. Intros.grdeveloped a flash minisite, based on the script and plot of the game. Users had to be connected to Facebook, they had to accept the terms and conditions of the contest, and finally they had to invite their friends to play. Then, they had to watch very carefully, each one of the episodes. By the end of each episode, the users had to answer some questions based on the complited episode. The right anwers leaded the user to the next episode, and so on. Everyone, who reached episode 8 and answered the questions correctly, was potential winner of the cell phone Nokia N8. Facebook advertising campaigns or contests provide company's Fan Page with greate publicity and rapid share-ability, and potentially increase of sales. In intros.gr, we believe neither design and development, or the cost of such Facebook application should be an obstacle in a company's growth. Do not hesitate to contact us for any idea you might have, regardless of simplicity or complexity, or even the extent!!! We are here to help you in any possible way!!! In intros.gr, we have the knowledge, experience and technology to provide the most attractive and the most effective solutions to our customers!